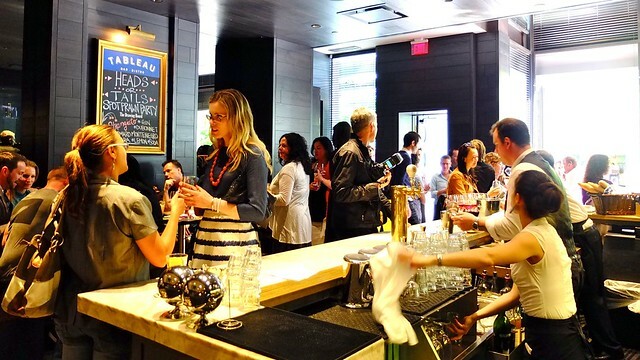 Vancouver Daze, Volume 69: Tableau Bar Bistro's spot prawn party inside Loden Hotel in Coal Harbour on May 16, 2012. Published in Vancouver Is Awesome. 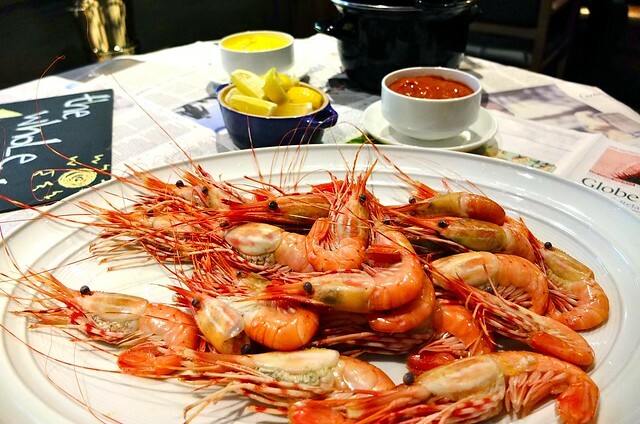 Tableau celebrated the local spot prawn season with a party serving poached whole spot prawns (top) with saffron aioli along with a ton of other concoctions and takes on the shellfish. 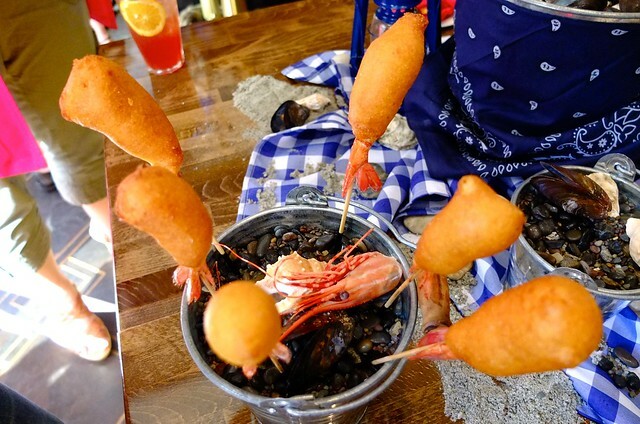 There were spot prawns served every which way including as corn dogs (above) on a stick. 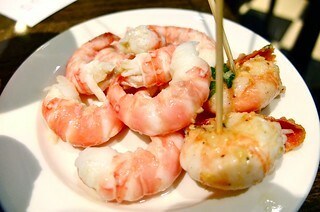 The load of steamed prawns were mixed with servings of sauteed spot prawn skewers with chili garlic. 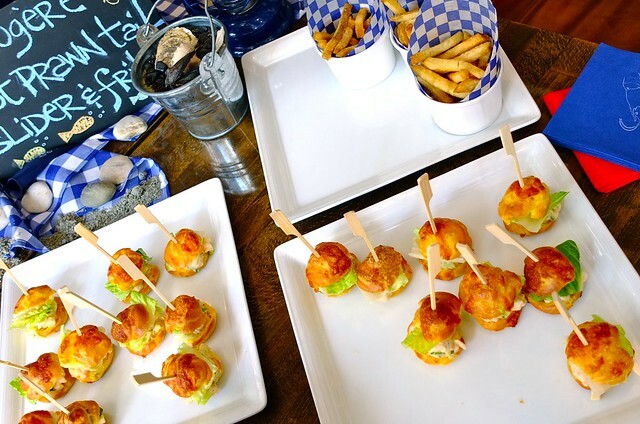 Another highlight was the gourgère spot prawn tail sliders. 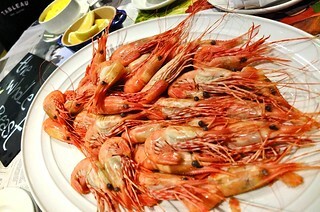 Served with frites, they were delectable and a fine starter. 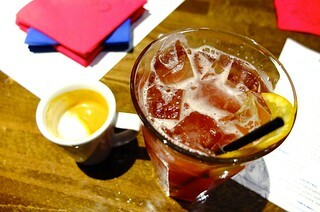 We sipped on a fine la strangiato cocktail (below) with gin, dubonnet, amaro montenegro, lemon, demerara, and soda. The wild BC spot prawns were tasty going down steamed, fried, in a bisque, shredded, with garlic, coated, and done every way possible. 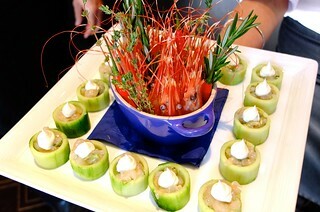 Tableau and Chef MAC did a fine job bringing twists to the prawns, but nothing beats original style.